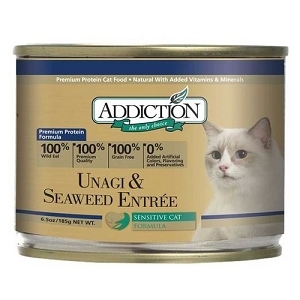 Cats are predators at heart, much like tiny tigers. 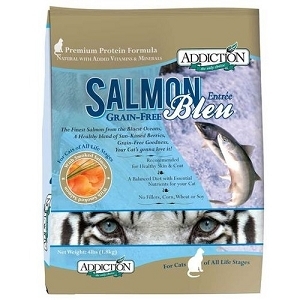 Doggyfriend is proud to offer Addiction brand cat food, which will bring your feline friend a taste of the wild hunt. 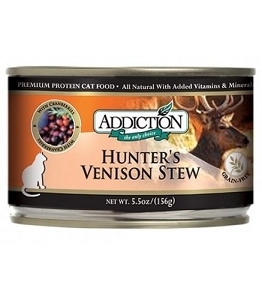 Recipes include meats like rabbit, duck, venison, and salmon. 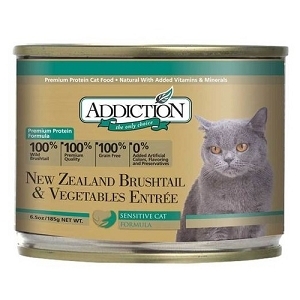 There's also a unique recipe made with New Zealand Brushtail, a harmful species that has invaded the island nation and done significant harm to the native habitat. 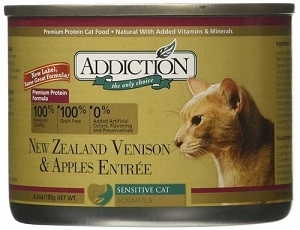 Getting rid of these pests will help New Zealand native creatures to thrive, and your cat will probably think brushtail tastes great! 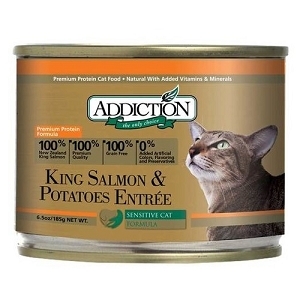 All Addiction cat food flavors are formulated to provide complete nutrition for your cat's body, mind, and overall health. 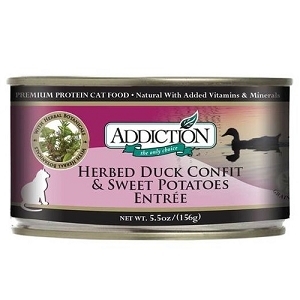 Select vegetables and fruits have been used to add specific nutrients to the meal, increasing your cat's long-term health in areas like digestion, urinary tract, skin and coat, eyesight and more. 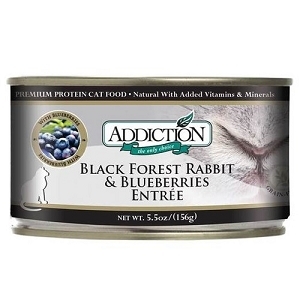 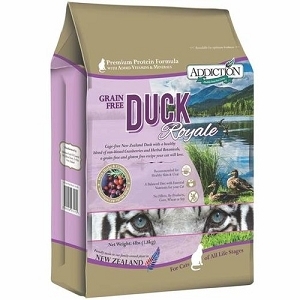 Addiction cat foods are fully-balanced meals straight from the deep forests. 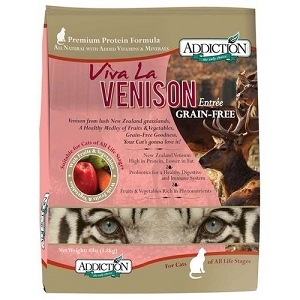 See what your little tiger has to say about that!